This is the naked version of the half-faired Yamaha XJ6 Diversion and aside from the lack of fairing, it is exactly the same spec. Somehow though it has transformed the Yamaha from sensible budget middleweight to exciting mini streetfighter that can be used every day. With its baby Yamaha FZ-1 looks and sit-up-and-beg riding position this is a very cheap way to get your rocks off. On top of all the fun it’ll dish out, it’s also easy to get on with, comfy and well-built, too. Prices on the used motorbike market range from around £2500 to £5000, with most showing signs of a healthy service history and careful owners. Find your XJ6 today and bag the perfect middleweight allrounder. Sellers John W Groombridge Motorcycles Ltd, in Heathfield, say: "This bike (pictured above) has just 5922 miles on the clock. This is a one owner bike and was sold by us new and comes complete with a full service history. 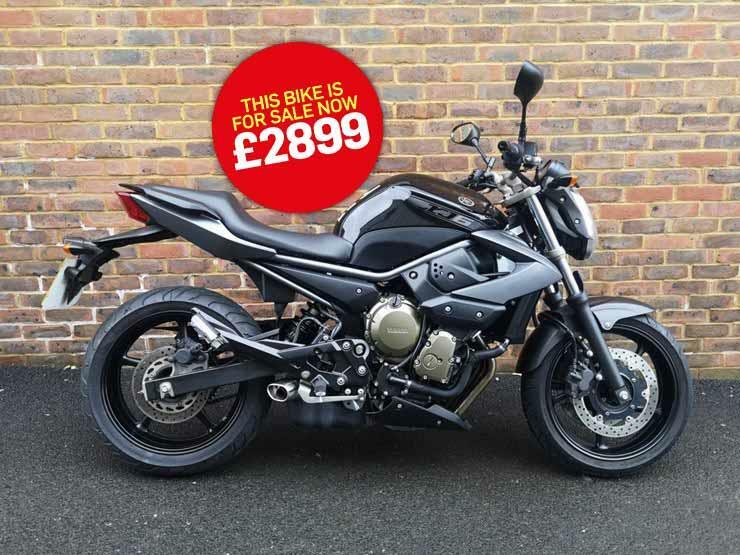 "If you are looking for an easy riding commuter or a weekend toy, then this bike has to be on your list, the XJ6 is the jack of all trades!"